A sense of brinksmanship pervades this cycle of Bruckner symphonies from Mario Venzago. He’s not the only conductor currently ‘modernizing’ Bruckner—Thomas Dausgaard and Marek Janowski are two other names that readily spring to mind—but he seems intent on becoming the most radical of their number. Each installment seems more extreme than the last, more rigid, faster, and generally opposing everything that could be considered as a performing tradition in this repertoire. The previous installment (CPO 777 617-2) covered the problematic symphonies 0 and 1, and, given that no interpretive approach can fully hold these works together, Venzago’s innovations seemed justified, or at least as justified as more traditional approaches. But this time round, his interventions seem more perverse, at best producing indifferent results, at worst actively opposing the musical substance. The cycle is entitled A Different Bruckner, and an essay from Venzago justifying his approach appears with each release. Last time round, the results seemed to bear out some of his thinking, but the sheer perversity of what he does with the Third and Sixth symphonies invites a closer reading of his essay to find out exactly what is going on. The basis of Venzago’s argument is that Bruckner does not specify very much in his scores about how they should be interpreted, especially in terms of tempo and dynamics. He argues that a performing tradition has accrued to the music, and that, rather than empowering performers, it simply produces performances that all sound the same. He laments that recordings today do not have the variety that we find between Furtwängler, Jochum, and Günther Wand. I would take issue with that view, and suggest instead that the reason why similarities can often be found between two recent recordings today is that there are (thankfully) so many new recordings of these works being produced all the time. Some of Venzago’s innovations are justified on grounds of historically-informed performance, particularly the smaller string sections he uses in the earlier symphonies, but others are simply intended to dispense with, or oppose, tradition. Venzago writes “The outmoded [his italics] expression must be replaced by a new one, one that is closer to us and that we can feel directly.” But why are traditional approaches “outmoded?” And why do they need to be replaced? Without answers to these questions his approach seems like change for change’s sake, rarely a constructive musical policy. Another of Venzago’s big ideas is to ensure that each symphony has a clearly separate identity within the cycle. Perhaps this is why the last two volumes have each included two works, to demonstrate the differences between them. There is certainly a big contrast here, with the Third Symphony given the more traditional reading (relatively speaking), and the Sixth taken to almost comical extremes. The Third opens at a leisurely tempo—nothing particularly controversial here—but the abrupt gear change into the exposition gives an idea of what is to come. Venzago does away with rubato almost entirely (despite claims to the contrary in his liner note essay) and instead articulates the structure of each of the movements with abrupt changes of tempo and dynamics. Crescendos leading into climaxes are executed strictly in tempo, making each seem mechanical. Sequences in transitions are similarly unshaped, with the result that they seem to lead nowhere. Venzago also states that he is seeking a Schubertian sensibility in his Bruckner, something that he best achieves in the second movement of the Third Symphony. Here the scale and pace of the music approach Mozart, although inevitably the results sound rushed and underpowered. The small string section obliges the brass to play down, which they do by reducing the agogics as much as the volume. This is particularly damaging to the third movement, which is seriously lacking in momentum and punch as a result of their feeble accents. In his essay, Venzago claims that the tradition of ‘massiveness’ in Bruckner is relatively modern, as is the equation of slow tempos with solemnity. In the finale of the third, he opposes both by speeding up when he reaches each of the grand climaxes, as if to write them off before they have even begun. Very frustrating. All these complaints apply to the Sixth Symphony, and most of them to a greater extent. For the most part, this reading is fast, lacking in gravity (which is deliberate), and lacking in interest (which is perhaps less so). The scherzo is given a fairly uncontroversial reading, and the accenting here is more apparent than in the same movement of the Third. But otherwise, Venzago seems intent to bring this music down to earth at every available opportunity. Perhaps Venzago is right that the big, romantic interpretations of Bruckner symphonies go too far, and that Karajan’s approach worked in his day, but that it is time to move on. But other conductors, Thomas Dausgaard in particular, are able to present light and agile Bruckner without reducing the music’s spiritual and emotional dimensions to this extent. 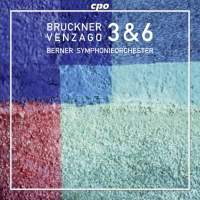 No doubt, as this cycle continues, Venzago will have new things to say with Bruckner’s symphonies, but on the strength of this installment, I’d suggest that the losses far outweigh the gains. Jaap van Zweden is living proof that the best training for an orchestral conductor is experience in the rank-and-file. In fact, Zweden never sat at the back: his playing career began at the age of 19 with one of the most prestigious orchestral positions in the world—leader of the Concertgebouw Orchestra. As a conductor, he has since spent eight years (2005-13) in charge of another great Dutch orchestra, the Netherlands Radio Philharmonic. 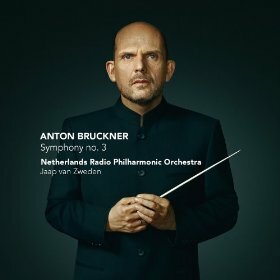 This recording of Bruckner’s Third is one of the last installments in a well-received Bruckner cycle with the latter ensemble. The standards remain as high as ever, and the results are certainly impressive. If there is one serious charge that can be made against Zweden’s reading of Bruckner’s Third, it is the occasional feeling of complacency. For example, in one the second movement variations, Bruckner sets a theme in the woodwind against a pizzicato counterpoint in the strings. Zweden knows that his string section will be able to cleanly articulate the passage, but it still needs a little more focus and emphasis. Similarly, the tuttis at the ends of some sections and movements sometimes give the impression that the drama is over: the home key has triumphed so there’s nothing left to say. That is certainly the feeling that we get in the last page of the finale. The brass sound here is simply stunning: broad, weighty tones with immaculate timbral control, even at the loudest dynamics. It is as if they could be giving far more, but the occasion just doesn’t warrant it. 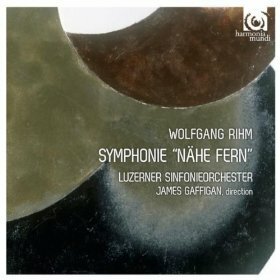 But these are minor concerns, and it is far more satisfying to listen to an orchestra give this music more panache than it needs than to the many recordings in which the tonal quality begins to deteriorate midway through each of the long crescendos. A high recommendation then, for this Bruckner Three. Zweden gives a spacious account, which is never rushed, but never stalls either. The orchestra produces weighty, but never ponderous, textures for the tuttis, and luminous, elegant sounds for the quieter passages, especially those in which the woodwind predominate. All of these sounds are clear, but they’re complex too, and the superior audio does a great job of picking up all the minute details. But most of all, the disc deserves recommendation for Zweden’s interpretation, which is expansive and dramatic, but also patient and focused, an ideal combination that makes this one of the most satisfying and compelling recent recordings of the work.